Women’s Day is one of the highlights of our camp meeting experience. You will not want to miss it. Enjoy an afternoon in quaint, historic South Seaville Camp. 4:30pm & 5:45pm -Dinner will be served in Grove Hall. At 12:30 pm, enjoy visiting the Arts and Crafts Festival, the Little Acorn Shoppe and Cottage Tours. Cool off with lemonade at the Bell Tower or ice cream at the Ice Cream Parlor. 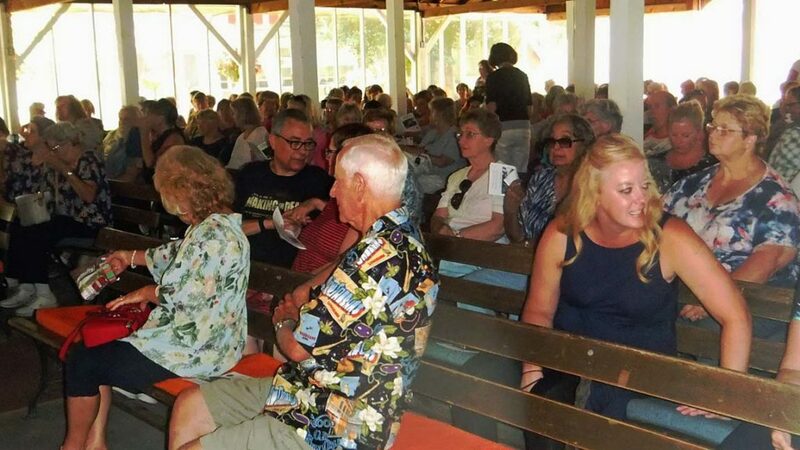 Stay for the program in our open-air Tabernacle and join with other women in worship and praise at 2:30 pm. Our feature is a dramatic presentation of the life of Naomi by Rebecca Small. You will be inspired as you witness God’s amazing grace transform Naomi “From Bitter to Blessed”! At 4:30 pm & 5:45 pm, dinner will be served in Grove Hall. Reservations deadline for dinner must be made by Saturday, July 20th. All monies are due by Monday, July 22nd. 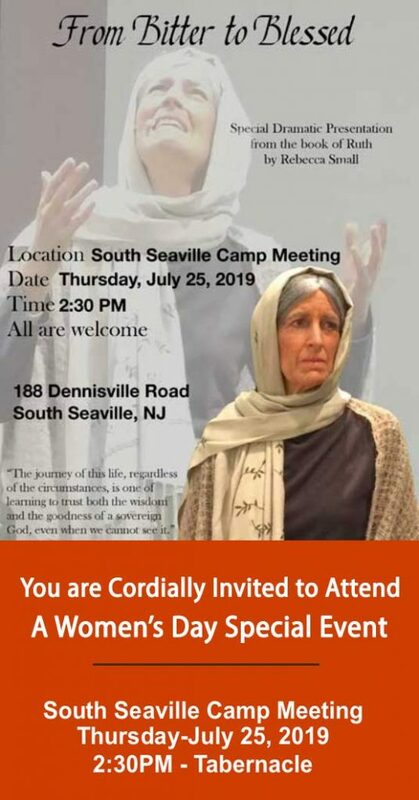 Call Sarah Soard (856) 430-9603 or mail to Sarah at PO Box 524, South Seaville, NJ 08246. Cost is $10. Checks made payable to SSCMWomen’s Auxiliary. Rebecca has been a student of the Bible for many years and loves to encourage believers with the life-giving truths of God’s Word. 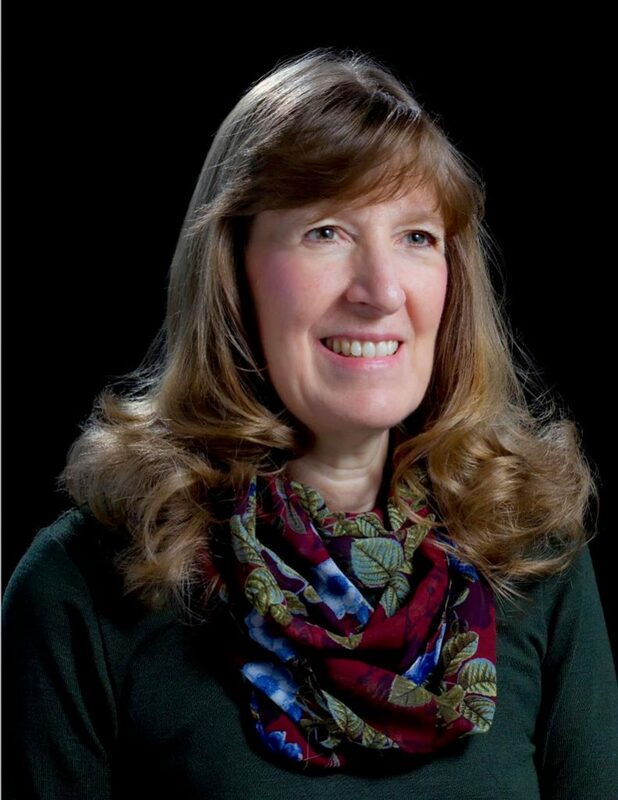 Partnering with her late husband, Rebecca was involved in church planting and discipleship in the Phillippines; pastoring a growing church in Texas; serving in Christian camps in Alaska and Washington, and assisting at a family retreat center. On the home front, she homeschooled their seven children over the span of 32 years. As a mother of seven and grandmother of a growing troupe of grandchildren, Rebecca is a strong advocate of family discipleship. She has taught homeschool classes, women’s retreats, and home Bible studies. Primarily she would like to be known as a fellow pilgrim on the compelling and sometimes arduous journey of trust in a loving, sovereign, faithful God.